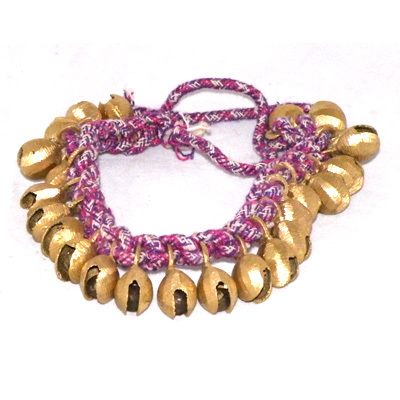 25 brass bells on a woven cotton string. Robustly made with proper brass bells. Very loud!